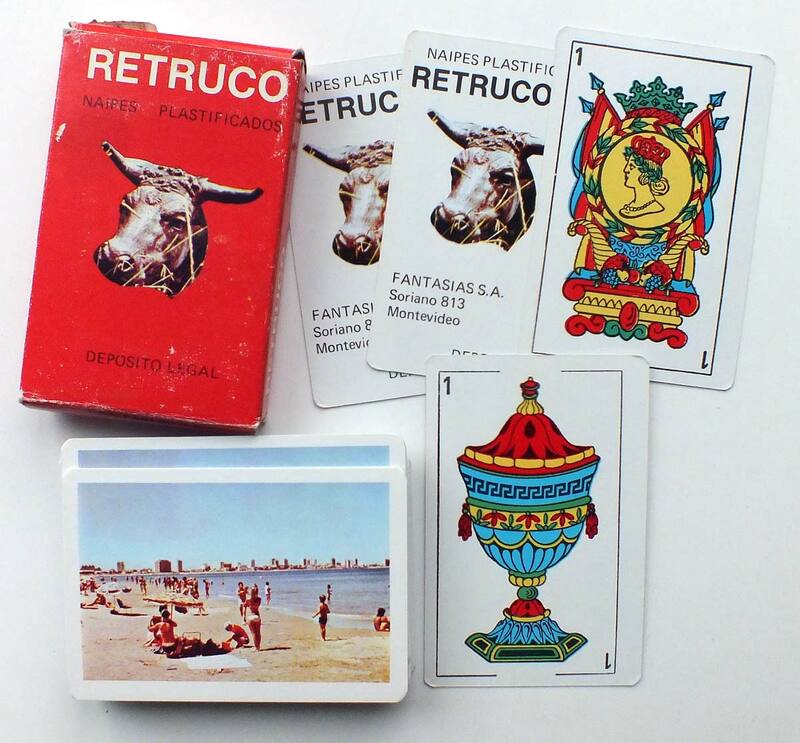 Naipes ‘Retruco’ published by Fantasias S.A., Soriano 813, Montevideo, c.1980. 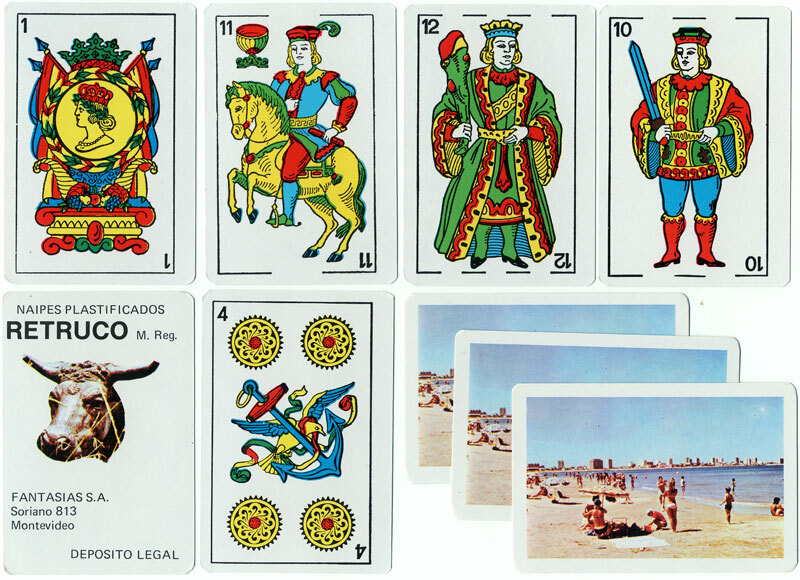 The cards are in the standard South American style most often found in Argentina. The reverse of the cards shows a beach scene. Above: Naipes ‘Retruco’ published by Fantasias S.A., printed by Ingrapa, Montevideo, c.1980. 48 cards + 2 extra cards in box.